DAN BRANNIGAN: There are no surefire bets to own Memorial Day weekend in New England and take home a national championship; all contenders have questionable losses and identifiable weaknesses. This season has proven that there are no can’t-miss, dominant teams. Yet Syracuse certainly has an excellent chance to end its drought. The team has the talent on all sides of the ball to make a run. I just worry they’ve used up all their good mojo throughout the regular season in their 10 one-goal games. 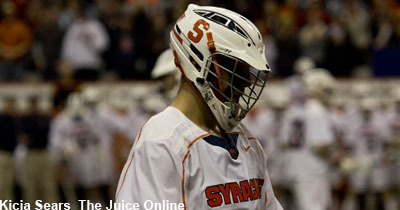 The Orange could—maybe even should—find themselves playing at the end of the month. They may even make it to the championship game. But I like Maryland to take the title. The Terps have one of the best offensive duos in the game in Matt Rambo and Colin Heacock and plenty of motivation after falling to North Carolina 14-13 in the instant-classic title game. 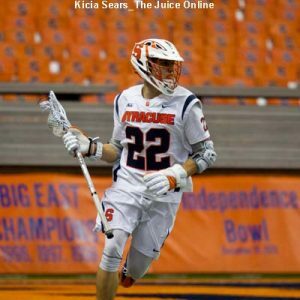 WES CHENG: Syracuse will rise and fall by its faceoff specialist, Ben Williams, who has had an up-and-down season. Williams was dominant to start, but suffered an injury midway through the season and struggled against Duke and Notre Dame. That led Williams to win just 170-304 at the X, at a clip of 55.9 percent. Compare that to the last two seasons when Williams was at 67.4 percent and then 62.2 percent, and you can see the drop off. 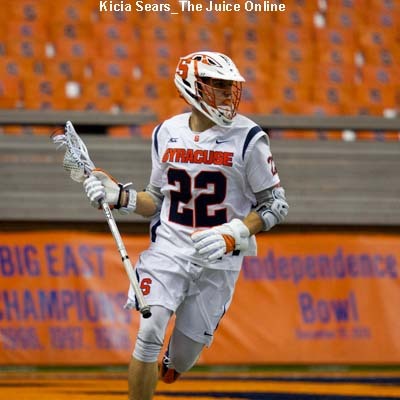 So for what it’s worth, here’s my prediction: Syracuse plays a relatively stress free opening game against Yale, winning by a 2-3 goal margin. 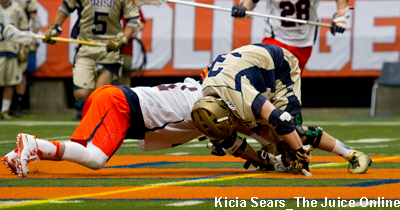 It then plays a nail-biter against Penn State, and a late Williams faceoff keys a one-goal win. But the magic runs out against Ohio State, with the Buckeyes claiming a one-goal win, as Withers wins the matchup at the X.